▼▼▼ The Master Musicians of Jajouka led by Bachir Attar (official) ▼▼▼ (Jajouka‎, Morocco)The legendary Moroccan band The Master Musicians of Jajouka plays for the first time in Romania, on May 27. Save the date! "A 4,000 year-old rock`n`roll band.” - William S. BurroughsThe Master Musicians Of Jajouka became a counter-cultural icon when BRIAN JONES of The Rolling Stones confessed that even he had trouble standing up to “the constant strain of the festival” during the performances he recorded in their tiny village in the foothills of Morocco’s Rif Mountains. Their reputation was cemented when Rolling Stones Records released Brian Jones presents the Pipes of Pan at Joujouka in 1971, and that reputation continues today.Led by Bachir Attar, The Master Musicians of Jajouka continue to bring this ancient tradition into the 21st century. They’ve played all over the world, become the most recorded act in the Islamic world, appeared in multiple films, and welcomed a host of luminaries to their village – from Ornette Coleman and William S. Burroughs to Mick Jagger and Talvin Singh.The Master Musicians of Jajouka play a variety of folk, ancient and newly written musical pieces on traditional, locally made instruments. 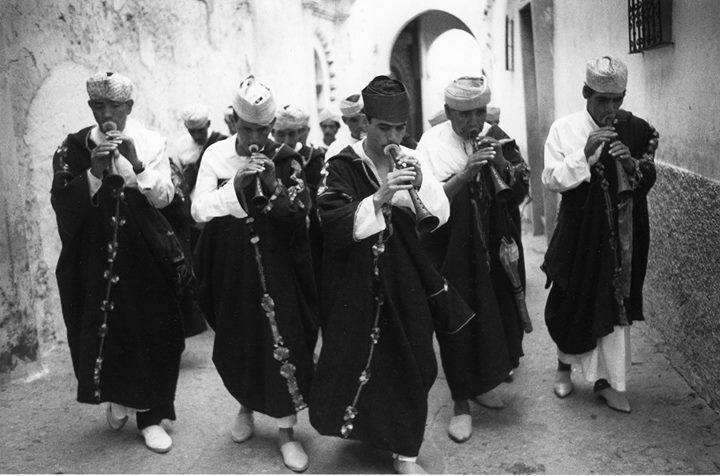 Many of the compositions in their extensive repertoire are unique to the Attar family and their traditions in Jajouka. 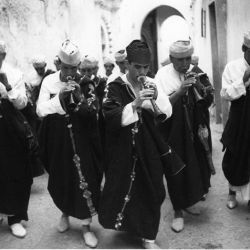 Tradition says that Jajouka’s music was a gift from Sidi Achmed Sheik, one of the first Islamic missionaries to visit the village and a revered saint whose tomb provides baraka, or healing spiritual power, to the villagers. This syncretic music may also be a survival of the worship of Pan and Astarte, and the rites of the ancient Roman Lupercalia. Each year, the goat-like Bou Jeloud emerges from his cave above the village, lured by the beat of drums and the blare of rhaitas (Moroccan double reed horns) to bring fertility to the village. jajouka.com*Photo credits: Cherie NuttingTickets info soon.